This was recently shown to me during a meeting this week at work, and it resonated with me that I had to share it. You are closing out the first quarter of 2018, what do you plan on doing with your month? What goals do you have set for yourself; are they the same ones you set for yourself at the beginning of the year, or have they evolved? It is ok if they have changed, nothing in the world is constant. Don’t beat yourself up if something has not been the same over these past couple of months. Some things we set out to do did not pan out to be what you intended, but you are still doing GREAT things with the goals you have set in place. You are in a good place because you have to remember that despite things not being exactly how you planned them to be, you still have not lost sight of your plans; the growth is really showing now. A year ago, you would have given up on the year already and said “I’m done, this is not going to work for me,” but no, you haven’t done that yet. That’s growth. Think about what your goals are and close out your first quarter strong. Don’t let anything stop you now, you’ve come this far; why let small, petty things get in your way now? The first month of 2018 is over, and it was quite an interesting one. First of all, congratulate yourself on what you accomplished this month; you read more, laughed more, meditated and connected with yourself more, prayed more, smiled more, and most importantly persevered more than ever before. Despite the things that brought you down, you fought your way through the emotional trials and made it to 1.31.18. It’s not easy to tell yourself that you’re going to make it through something; it’s not easy to maintain a level of self-accountability and check your own self when things are going the way they need to, but you did. You owned your flaws, your negativity, you let yourself be vulnerable when it was needed, and you developed routines and habits that will remain constant in your life for the entire year. Even when the day seemed like it was beating you down, you did what it took to persevere through it all. So next month, don’t quit while you’re ahead. Don’t sell yourself short. Don’t downplay the awesome things you overcome, because sometimes we all fall short but it’s about how we push through those tough times. There’s been a disruption in the force, and it’s messing with all that is right and normal in my world. I haven’t posted anything in a while and it feels a little weird I’ve been reading some writing prompts and will possibly post some stories this weekend! Black Girls Rock premiered last night and I was front and center watching every minute of it. I started watching #BGR every year since it began and each year it is an awesome and insipring awards show. The ceremony takes the time to recognize women of color who are breaking barriors and creating lifelong legacies in this world, and motivating our young black women and little black girls to break their own barriors and create their own legacies as well. It is a very empowering experience for me personally. From honorees like Erykah Badu, Jada Pinkett Smith, Cicely Tyson and Ava Duverney, to performances by Sheila E., Jill Scott ,Faith Evans and Fantasia; it was a great show!! 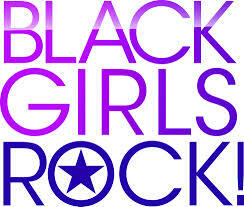 Black Girls ROCK is something that is so NEEDED in this world. We are criticized for our skin color, our hair, our walk, our talk, our personality, our attitude, our intelligence. This movement gives us the opportunity to embrace ourselves positively. And to embrace other women of color. It is our own public display to celebrate just how awesome we truly are. The highlights for me were of course, the First Lady, and how she was just completely flawless. Also, seeing Will Smith show the unconditional love and support for his wife, Jada was awesome. We need more presence of Black love in the media. Show more men uplifting their queens and supporting them in their dreams and endeavors. Principal Nadia Lopez also shared that she tells her students that they wear black and purple because we are descendants of royalty. That is so true, and to have someone telling our youth that sets them up for greatness in their future. Another highlight for me is when Jada Pinkett Smith was giving her speech, she said “you are enough as you are”. This speaks to me in that it reminds me that what some may see as just a part of life, others see as an outstanding achievement. I have been blessed enough to be inducted into the club called “Mom”, so I am already a black girl who rocks in my opinion. If nothing more, I have a 1-person fan club, I have a cheerleader, I have a person watching my every move and it’s imperative that I uphold myself with the utmost dignity and respect because I want my daughter to be a reflection of me one day. No woman who has brought life into this world should ever feel less than great, because you are great and if no one else, your child thinks so. I also enjoy seeing thee M.A.D (Making a Difference) girls as well. Some of them are very young, and have accomplished big things in such a short time. It is a blessing to see our youth making a change in their communities and within their generation and hope that more and more young people recognize that they have so much power to change the world, all they have to do is give it a try and put their mind to it.